My So- Called Handmade Life: Oatmeal!!! 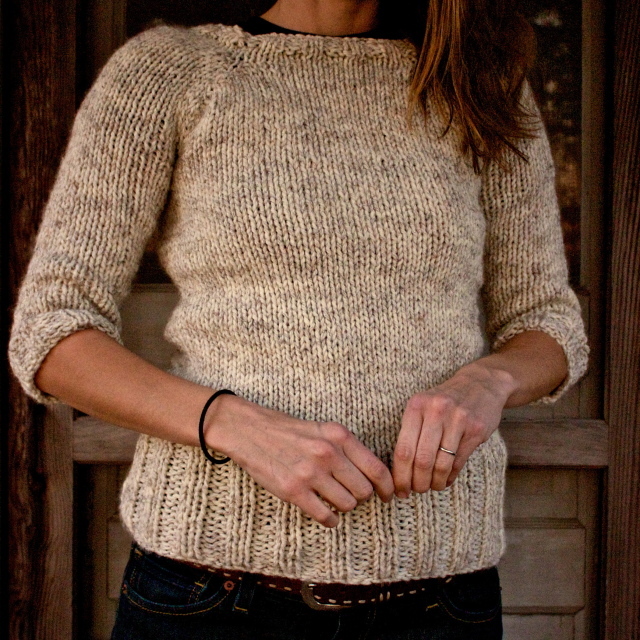 I keep saying I'm about to finish this, but it seems to be the never-ending Oatmeal Pullover. 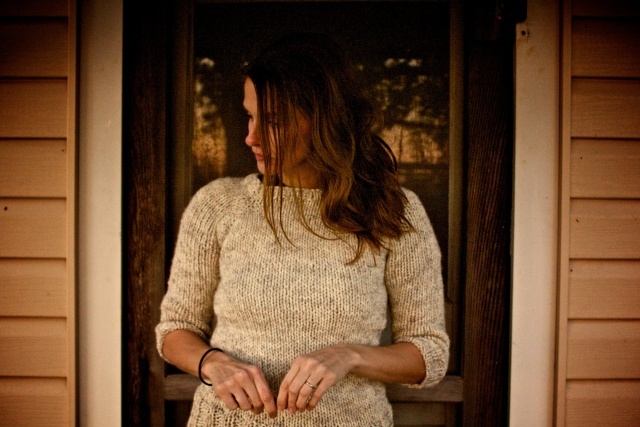 The whole point of a no- brainer sweater is to relax and churn it out without a hitch. But those balls of recycled cheap yarn (given to me) were actually balls of knots and there wasn't as much usable yarn there as I thought. In the end, I eeked out 3/4 length sleeves and floppy neck pullover by tying more knots (ugh!) But, this is Texas. There's no 3/4 cold here. It is either the usual swelteringly hot or unusually cold, so I want full sleeves and a re-knitted neckline. Plus, the bottom ribbing could be smaller gauge, as you can see above, so I have to reknit that part. Plus, the loose ends at the armpit need to be pulled tight and woven in too. Why can't I just be a knot tying, saggy stitch wearing knitter? Why must a relaxing hobby become a vendetta? Now I needed more of this yarn. Grrrrr. So, since I had somewhere to be, my sweet husband who makes solo trips to the store for everything from ladies products to chocolate cake at midnight can now add yarn ("Remember, it has to say 'chunky.' Ask for the color 'Wheat'. It's right by the glitter paint, etc) to the list of embarrassing stuff he buys for his wife. Only, none of the hobby stores near my town have it. That used to be all they had! That was me screaming, "Oatmeal!!!" instead of, "Kahn!!!!" I can't believe I had to order Lion's Brand. It'll be at least a week before I can finish. I have a queue full of sweaters, waiting to be given my full attention over the holiday, but I can't move on without closure. The yarn is taking up residence in my microscopic closet and under the bed. Every time the closet door is opened, the yarn sacks fall out. Then the cat finds it and literally swipes a sack of it to hide under the table and tangle around the legs of the chairs. All those projects... I feel buried under the enormity...buried alive...buried alive... Kaaaaahn! But seriously, who has pecs like that? Really? Really? I actually <3 the huge gaged ribbing.